American Airlines to Give Pre-Boarding Privileges to Peanut Allergies – Will They Be Exploited by Fakers? There are more than 3 million peanut allergies estimated in the US. And I’m one of them. Ingesting anything peanut will kill me, and even touching something previously touched by peanutty hands can cause big problems. Many airlines have already stopped serving peanuts onboard to accommodate folks with allergies. I know that’s a bummer for many, but it truly is unnerving for those of us with allergies to sit inches away from someone with hands glistening from peanut oil. So I appreciate that beginning December 12, 2018, American Airlines will allow folks with peanut allergies pre-boarding privileges to wipe down their seat, tray table, etc. to prevent any in-flight reactions! 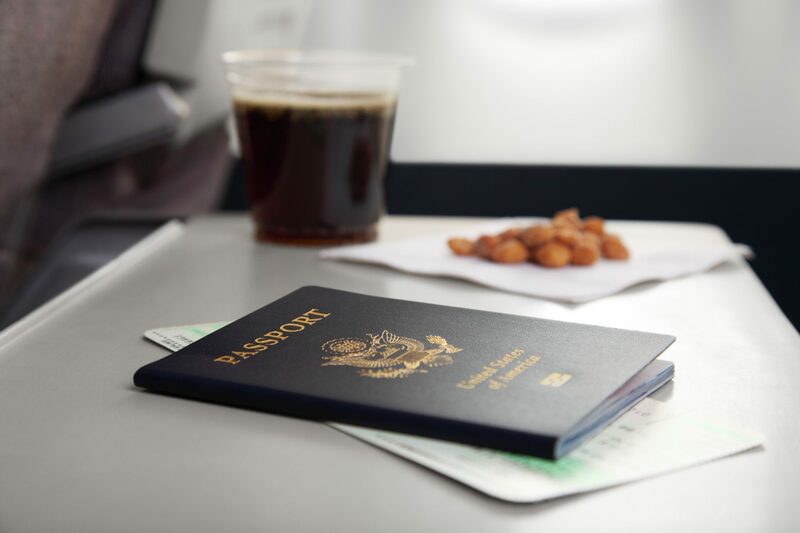 They’ll board even before folks with American Airlines credit cards like the CitiBusiness® / AAdvantage® Platinum Select® World Mastercard® or Citi® / AAdvantage® Platinum Select® World Elite™ Mastercard®. Airline credit cards like the CitiBusiness® / AAdvantage® Platinum Select® World Mastercard® come with “preferred boarding,” which means as long as you have the card, you’ll get to board with the first group of “regular” passengers. That means you have lots more room to store your carry-on bag in the overhead compartment. Folks who don’t have the card may either spend an embarrassing amount of time searching for free overhead space, or need to check their bag at the gate. However, folks with preferred boarding will still board after active duty military, families with small children, passengers with disabilities, anyone with American Airlines elite status, etc. And now add to that list passengers with peanut allergies. It doesn’t look like you need to provide any proof of your allergy at the gate. So hopefully we won’t see tons of travelers claim an allergy just to pre-board. Delta already gives those of us with allergies the option to pre-board if we want to decontaminate our area. And it’s nice to see American Airlines follow along. I have to admit, I’ve never before wiped my seat for fear of an allergic reaction, but I’ll probably try it once just to see what it’s like to board extra early. It’s a smart thing to sanitize the seat, anyway. What do you think of this upcoming policy? There are LOTS of allergies out there. Is this the beginning of what will soon be a much longer list of pre-board groups? Stay on top of the latest travel news by subscribing to our newsletter! Pre-boarding is getting a bit out of control – although I’m perfectly fine with people with allergies being in that group. I do believe it should be limited however to people who actually “need” that extra time, such as people with small children, elderly, disabled, etc. Active military members aren’t in that category. Yes, I appreciate their service – but I also appreciate first responders, police, firefighters, doctors, nurses, EMTs, etc. Won’t do them a damn bit of good when I bring my own peanuts on board.